Lipo 6 is weight loss supplement produced in the US by Nutrex Research Ltd. The formulation is designed to work as a fat burner and it is has attained quite a reputation for delivering results. Unfortunately, the manufacturers incorporated ephedra into a prior Lipo 6 blend. The present blend does not contain the ingredient, but some consumers are unaware of the change and discount Lipo 6 out of hand. The use of ephedra can involve worrying health risks, so consumers are quite right to reject any product that contains the ingredient, but Nutrex Research has already replaced the troublesome ingredient so it would be unfair to penalize their new—and possibly improved—product without closer examination. What is Lipo 6 and How Does it Work? Lipo 6 is produced in capsule form and is designed to work as a fat burner. 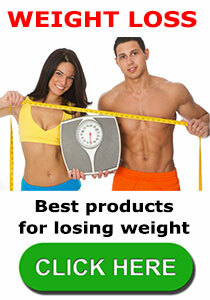 Many weight loss capsules contain a blend of ingredients mixed together in the form of a powder. 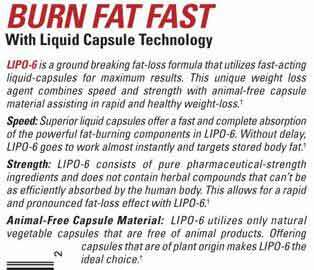 Lipo 6 is a little different in that the capsules contain a liquid blend. The manufacturers claim this enables their formulation to be absorbed more quickly and provide faster results. There could be a lot of truth to this statement, but any results will ultimately depend on the strength of the blend, rather than the speed at which it is absorbed, so let take a closer look at the list of ingredients. Caffeine Anhydrous (200 mg): A powdered form of caffeine that should provide an energy boost and may also add to the blend’s fat burning potential. Synephrine HCL (20 mg): A chemical compound extracted from the ingredient bitter orange. Synephrine is often found in weight loss blends because it is believed to offer the same fat burning potential as ephedra, but with less risk of side effects. Synthetic 99% guggulsterones Z&E 1.1 (20 mg): Usually added to weight loss formulations due to its reputed ability to stimulate the thyroid gland and help fire up the metabolism to encourage more efficient fat burning. Bioperine (5 mg): A patented-protected version of an alkaloid called piperine (extracted from black pepper). Scientific tests show that piperine can assist weight loss. Test also show the ingredient can be used without fear of side effects. Yohimbine HCL (3 mg): A regular inclusion in bodybuilding supplements due to its alleged ability to assist muscle growth. The reason for its inclusion here is hard to say, but its presence may help protect against muscle wastage due to the restriction imposed by following a calorie-controlled diet. Day one: One capsule in the morning, followed by a second capsule in the afternoon. Day two: An extra capsule may be added to one of the doses. Day three: Full dosage (two capsules, twice a day). After 8 weeks supplementation should be discontinued for two weeks. Supplementation may then be resumed for a further eight weeks. The manufacturer’s website contains many five star product reviews. Independent reviews are harder to find, but are probably more reliable. But other reviewers report more positive results. The manufacturers recommend new users consult their doctor before commencing supplementation. This is sound advice because although ephedra has been removed from the formulation, the blend still contains stimulants (caffeine anhydrous, synephrine) that may prove problematic to certain user groups and pregnant and nursing mothers. Lipo 6 may not be suitable for users who have a low tolerance of stimulants, but if the capsules are used in the recommended manner it is probable that the majority of users should be able to use them without issue. The present blend contains some good ingredients so it seems likely the capsules will produce some results. 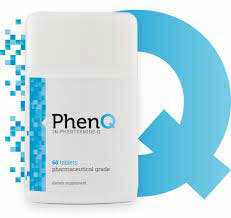 However is this particular genre customers are advised to opt for PhenQ the current market leader. Lipo 6 is available to purchase online from a variety of independent retailers and can also be found listed on the Amazon website. A certain amount of care is required, however, before clicking the “buy” button because some sites stock several variations of the blend. Prices vary from site to site, but diligent shoppers should be able to pick up a bottle of Lipo 6 for $20 to $30. As suggested above anything other than PhenQ in the fat burner / appetite suppressant market can be viewed as a compromise. PhenQ contains both natural and pharmacy quality ingredients and available to buy direct from its own official website without a prescription. This entry was posted in Fat Burners and tagged Lipo 6 or Phen375, Lipo6 Canada, Lipo6 GNC, Lipo6 side effects by admin. Bookmark the permalink.